The best travels are the ones that go unplanned and technology these days makes this rather easier for us. A random road trip powered by enthusiasm, a full tank of gas and a navigation app can lead you to places or that spur of the moment bus trip to catch that sunrise at Easter Island. I love applications that make our lives convenient. A simple touch of a finger to check bank details, rant on social media and certainly sharing of photos from your latest trip. These days, whether we admit it or not, we are maritally connected to our mobile phones. I am hoping to share on a few posts about mobile apps that might help you too. I can check ticket prices anytime of any day. Easy access and no hassle too. Booking is instantaneous and a breeze. Make sure to create or sign up to both sites as a member. 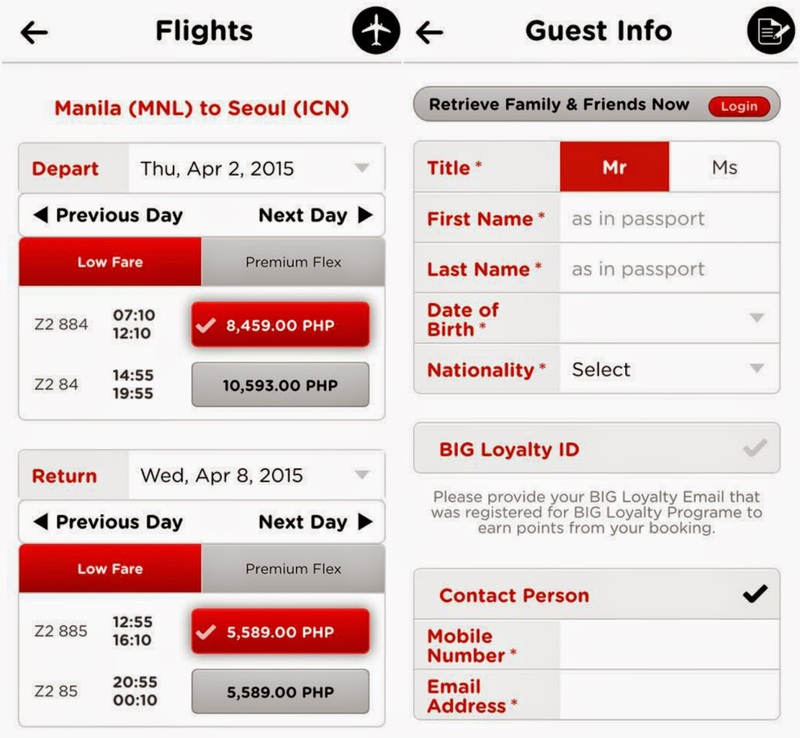 Go ahead and sign up here: Air Asia - Big Shot Sign Up page and Cebu Pacific - Get Go Sign Up page. 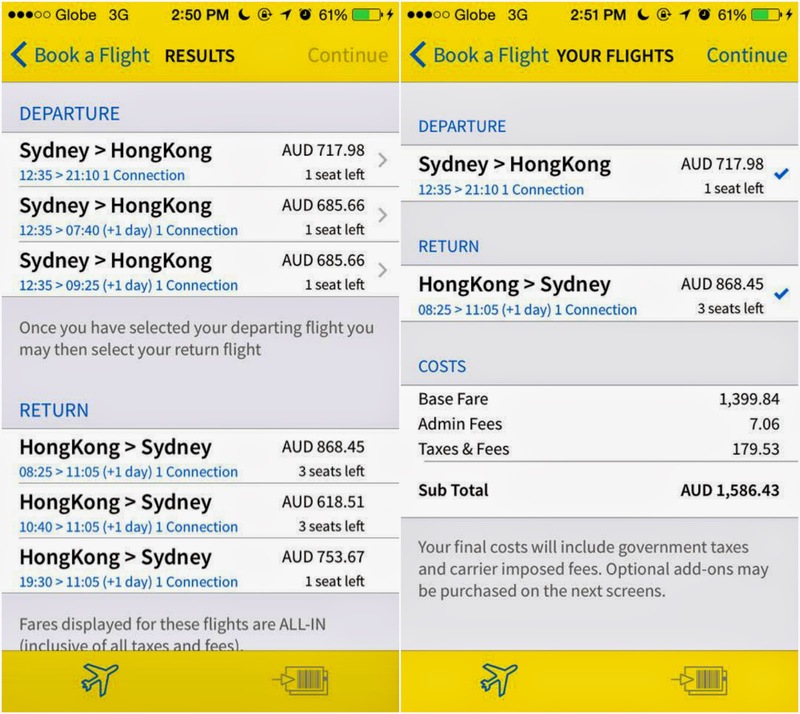 Also, with the latest fare promos, you would want to grab that deal as soon as possible. 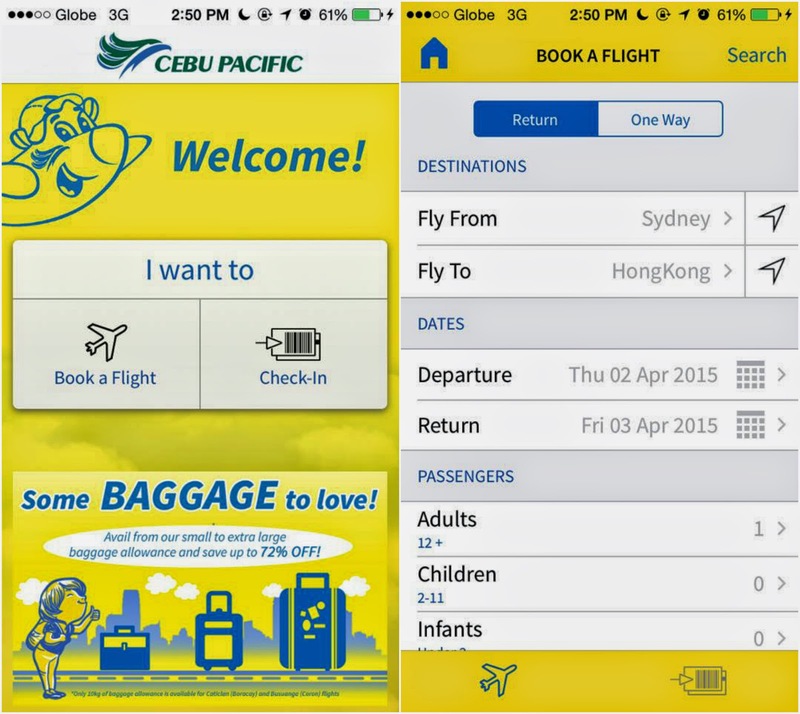 Some flight carriers prefer a paperless check-in and you can do so using the app. 1. 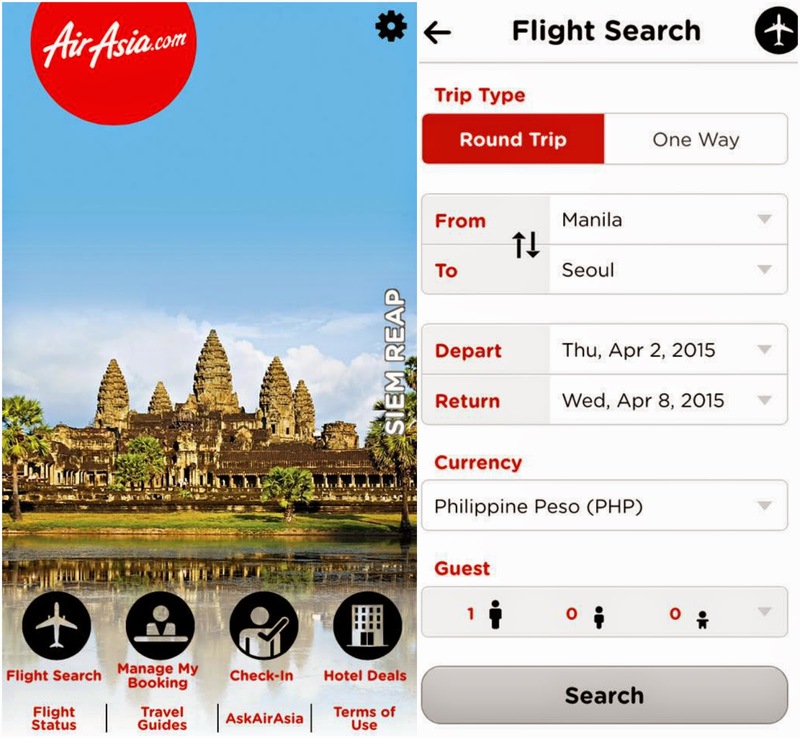 AirAsia - The app is free to download here for Android and iOS. Do you have favorite applications? Share them and I would love to try them out.